Are you having difficulty tagging friends in your status updates using the ‘@’ sign? 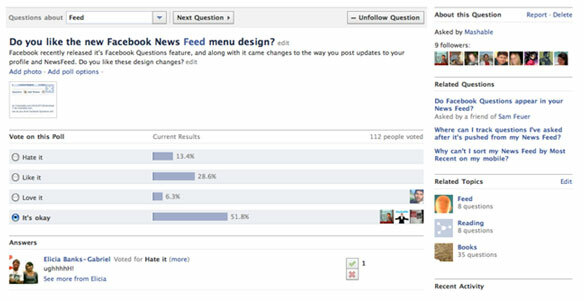 If yes, chances are you enabled the new publisher rolled out by Facebook for its ‘Facebook Questions’ product released on Wednesday. Facebook officials announced that they’re fixing the problem since the feature is still in the process of rolling out to all users. A lot of users and a huge number of official fan pages complained of the problem saying they’re unable to update their statuses or share info through updates. Users also slammed the new publisher on several blogs and official discussion forums online saying the new publisher still needs a lot of improvements and lacks a lot of features. Critics and experts warned at the release of the feature that it is somewhat fragmented and suffers from several usability issues and bugs. It is surprising that questions can’t be posted or replied to on users’ walls and they also can’t be commented on or ‘Liked’ by others in the news feed. This is surprising as comments and ‘likes’ have become the biggest and best way to get honest and quick feedback from users in real time. More users are likely to reply to, comment and ‘Like’ a question and its replies if the activity appears in their news feed rather than navigating through several unfamiliar pages and dialogue boxes. The service is still in its initial stages and there’s hope that Facebook officials will take measures in to improving the feature which has all the potential to become the next big thing in a world relying on customer feedback and preferences.